Assembling new flat-pack furniture can be harder than it looks. Don’t waste hours trying to figure out where all the planks and nails need to be going. 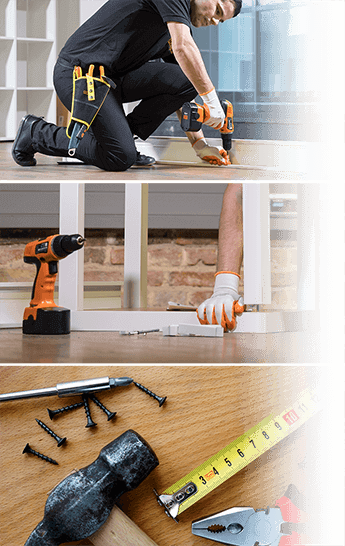 Fantastic Handyman Brisbane can assemble any type of furniture for you! We can put together wardrobes, tables, office desks, cabinets and shelves, chairs and beds without a hassle. Our professionals work with residential, commercial and industrial clients. We provide customized furniture assembly services to satisfy your specific requirements. You can book simple flat pack assembly or complete kitchen assembly and installation. No job is too big or too small for us. We got the tools, the knowledge and the passion to assemble everything for you! Our technicians will arrive at your property in a timely manner and fully equipped with a variety of tools needed for the service. Or assembly crew can put together any type of furniture, no matter the size, brand or retailer. The technicians will follow the manufacturer's instruction to deliver the desired end product. We work with the best handymen in the city. We train our technicians to be able to assist with answering all of the questions that may come up in your mind. They will offer you honest advice, striving to fulfil your needs. We observe closely how each project or task has been completed and ensure that any accidents during the service are avoided. Your honest feedback is important to us, as we strive to improve our performance after every single service. Our goal is to simplify the booking process, so you can take advantage of our services when it’s convenient for you. We offer 7-day a week booking availability. 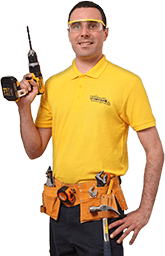 You can get in touch with our multi-skilled handymen through the online booking phone, our live chat or by simply calling our phone. You can also download our GoFantastic App and book one of our services while you’re on to go. Check out all the services we offer, book multiple services at once to save time and money. Combine assembling services with fixture and fittings, fixing plumbing problem or painting the walls of your bedroom. We've got the knowledge to do everything in the right way.